Ancestry Composition is one of the main tools on 23&me to learn more about your African ancestry (aside from any other type of ancestry you might have of course). On the subpages for this section i will show how the Ancestry Composition results from individuals of various African or Afro-descended nationalities comply with certain group patterns of shared regional ancestry. I think being aware of these patterns, both the differences as well as similarities, can be helpful in placing your own personal results in a wider context. Naturally still leaving much to be desired on a more specified sub-regional level but in some cases you might then at least rule out some other regional options already. Or by noticing a discrepancy between your own results and what seems to be “the norm” for your own nationality/ethnicity it might provide a useful clue worthy of further investigation. A key lesson i’ve learnt from this myself is that it’s wise to never take the category names used by 23andme or any other type of DNA testing too literally. Labelling ancestral categories according to some common denominator can often be misleading if you don’t realize which samples they are based on or how these categories apply among people with verifiable ethnic origins. Knowing the socalled “population averages”, or in other words how various “unmixed” populations score for any type of admixture test and its various ancestral categories is crucial to avoid any misunderstandings IMO. Much of the discussion in this section is based on a earlier thread i opened in the online community of 23andme: “Post your new SSA breakdown if your Ancestry Composition has been updated already”. Thanks to the willingness of people to share their results i was able to compile some very sketchy “population averages” which can still be seen in this online spreadsheet, the individual results can be seen by clicking on the tabs on the bottom of the sheet. As shown in above overview 23andme used samples exclusively drawn from Northeast Africa to define this category they chose to label as “East African”. As your DNA is compared only with these particular samples from the nomadic Maasai, Ethiopians, Somalians, Eritreans and not for example with Bantu speaking Tanzanians or Mozambicans it follows logically that this category can only be indicative for possible ancestral connections with the socalled Horn of Africa or Northeast Africa and not East Africa in the widest sense of the word. However also other interpretations are possible based rather on genetic similarity, depending on the ethnic origins of the people being tested. This socalled affinity not per se being the result of direct ancestral origins within Northeast Africa! The name of this category is probably the most misleading one of all as it will greatly underestimate your real Central/Southern African ancestry! As seen from the screenshot above this category is comparing your DNA to a very limited number of samples from only 3 very marginalized and tiny ethnic groups living within the remotest areas of Central & Southern Africa. The Biaka & Mbutu Pygmies combined with the San quite possibly being less than 0,1% of the total present day population of Central/Southern Africa which is overwhelmingly consisting of Bantu-speakers instead! 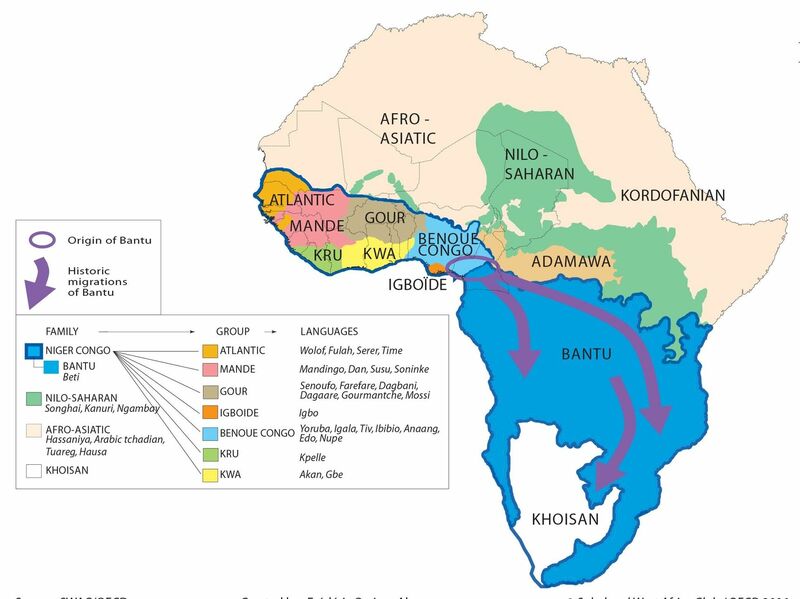 Actually many current day Bantu speakers do have significant ancestral connections with them because of ancient geneflow and absorption occuring ever since when Bantu speaking migrants first entered Central/Southern Africa, displacing the aboriginal Pygmy and Khoisan populations and forcing them to retreat deep within the jungles or the desert (see this sheet for an overview of Africa9 results for various Bantu populations). 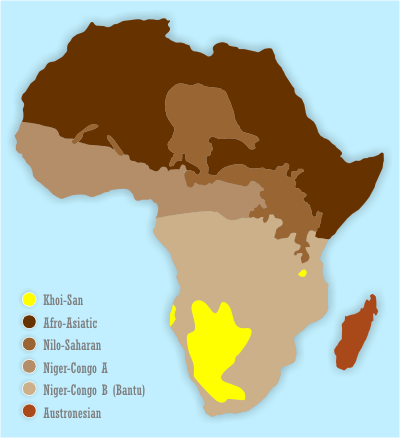 Based on this side thought the socalled “Central & South African” percentages can still be indicative of and correlating to a greater share of genuine roots from this area, deriving however from Bantu speaking ancestors who already carried these ancient and distinct Pygmy & Khoisan markers within their own DNA makeup for centuries or even millennia. Afro-Diasporans having actual enslaved Pygmy or Khoisan ancestors who somehow got caught up in the Trans Atlantic slave trade and ended up in the Americas seems like a historically very unlikely scenario. This category includes the biggest number and also most wideranging set of samples from not only within West Africa (as most ordinary people would define it…) but also outside of it, namely the Luhya from Kenya and unspecified “Bantu” from the HGDP collection, most likely also from Kenya and even South Africa (sic!). Predictably therefore this socalled “West African” category has become the catch-all category for Afro-Diasporans and most West, Central and even Southern Africans as well. Reducing their diverse ethnic & regional origins to just one monolithic blanket label which isn’t accurate even… More logically it seems 23andme was aiming to describe the shared ancestral connections for all Niger-Congo speakers, incl. 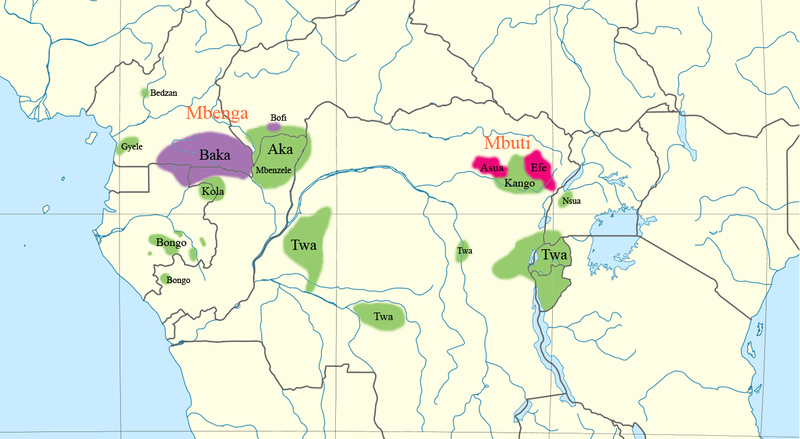 the Bantu speakers who according to theory have migrated in ancient times from Nigeria/Cameroon. Naturally there was huge disappointment when 23andme first came out with this update and i’ve read some people still being outraged by it. To be fair the underlying problem of missing adequate African reference populations is common to other DNA testing companies as well. And designing reliably predictive and mutually exclusive West or Central African subcategories is more complex than one might imagine. Although AncestryDNA did succeed in making considerable progress in this regard. What bothers me the most personally is the lack of clarifying communication from 23andme towards their customers. Leaving them to sort it out for themselves how to make sense of these highly confusing Ancestry Composition categories.